Fokke Dullaart (Harvest House): "Dutch acreage tripled after trial year"
Maurice Weijs grows tomatoes in the Dutch town of Kester-Weijs. He is always on the lookout for something new. So, last year, as a trial, he had 1.000m2 of Monterosa tomatoes in his greenhouse. Although the cultivation of this exclusive tomato is no easy task, it did fulfil a need. As a result, this year, he has tripled the acreage used to grow these tomatoes. 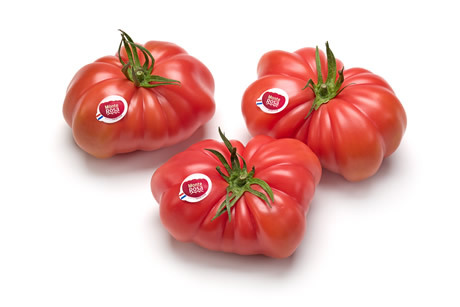 Now, Dutch wholesaler, Harvest House, can supply their clients with this tomato in the winter too. This is due to the Spanish Monterosa tomatoes. These are provided thanks to Harvest House's collaboration with the Spanish Gavà Grup from Almeria. 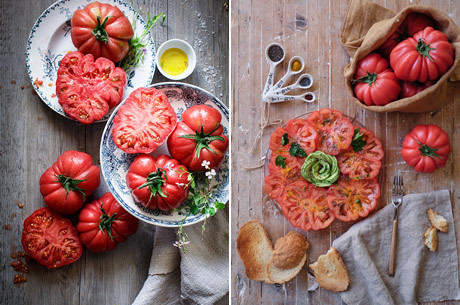 The ribbed Monterosa tomato is characterized by its typical Mediterranean summer taste. It also has a striking red color. "This tomato is well-known in Spain. However, for people living in the Netherlands, it is really a new tomato. So, you have to get consumers enthusiastic about this novelty product. You have to get them to taste it", says Fokke Dullaart from Harvest House. "Many people compare it to the Coeur de Boeuf. However, the Monterosa is very different. It is tastier and has a more unusual appearance. It is also a real eye-catches in dishes. You can use the Monterosa in diverse ways. You can eat it on its own or make a tomato carpaccio. You can also use it in warm dishes. Because of its large size, it also lends itself perfectly to being filled." "For example, we promoted the Monterosa at Horecava. The reactions were very positive. We have already retained clients because of this", explains Fokke. "Last year, we started with a German and Dutch retailer. We are hoping to be on more supermarket shelves this year. This will be thanks to our expansion." "It is difficult to grow Monterosas in hot weather. So, this past summer was a challenge. However, thanks to our cultivation expansion we will be able to better manage the tomatoes' nutrition. This will ensure the supply's continuity. We expect to switch back to Dutch-grown Monterosa in week 14." "This is an exclusive tomato. It also has a considerably lower yield than the standard flesh tomato. 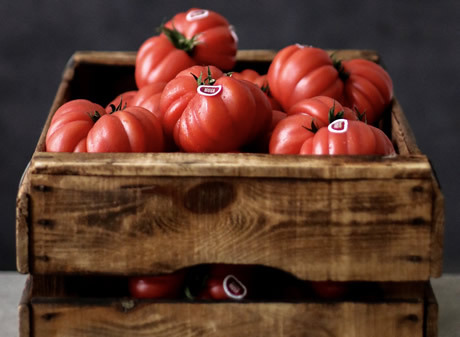 However, with this premium tomato, clients will have something extraordinary to offer. We will soon be presenting a new, cardboard tray for this tomato. This will be at Fruit Logistica, Hall 3.2, stand C-20. With this, the Monterosa will really come into its own", concludes Fokke.